Although there are more than 30 different Springfields in the United States, only two of them are close enough to Lawrence to make convenient weekend getaways — Springfield, Ill. (which just happens to be my hometown), and Springfield, Mo. Each Springfield has unique culinary options and family-friendly activities, and are within an easy day’s drive (Springfield, Mo., 195 miles; Springfield, Ill., 348 miles) away. Both cities host popular Route 66 Festivals — Springfield, Ill.’s International Route 66 Mother Road Festival is coming up this weekend, Sept. 21-23. 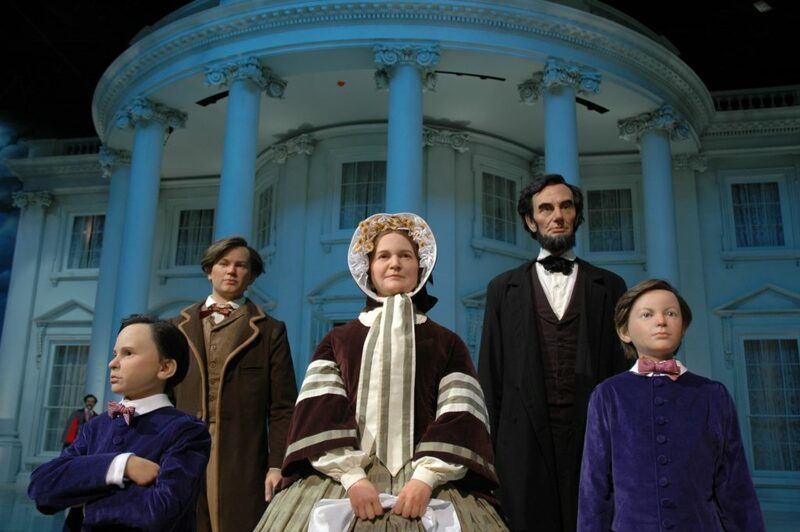 Lifelike figures of the Lincoln family stand in the Abraham Lincoln Museum Entry Plaza in Springfield, Ill. Since its opening in Springfield, Ill., in 2005, millions of visitors from all corners of the globe have toured the Abraham Lincoln Presidential Library and Museum, which consists of 100,000 square feet of exhibits — an entire city block of interactive experiences that guide guests through Lincoln’s life and times. As you wind your way through the museum, Abe’s history is anything but boring. In fact, some detractors have complained that with spectacles like the Holavision show, Ghosts of the Library and the high-tech special effects in the theater presentation Through Lincoln’s Eyes, the museum is more “Disneyfied” than scholarly. But all the smoke effects, strobe lighting, vibrating seats and animatronic figures make learning about the history of our country not only palatable but actually exciting. Instead of reading about the Presidential Campaigns of 1860 in a dry textbook, you can watch a contemporary portrayal of 30-second television campaign commercials promoting each of that year’s four candidates. All your senses will be aroused as you walk through the Illusion Gallery, a gauntlet of yelling images arguing for and against slavery. And by the time you wind your way through Journeys, deeply humanizing depictions of Abe’s life (warts and all) from his boyhood log cabin to his ornately draped casket, you may find yourself with tears in your eyes. After touring the historic sites, it’s time for a taste of the local cuisine. Springfield, Ill., has always been a great restaurant town, but not for the health-conscious. Only in Springfield will you find the gargantuan “horseshoe sandwich,” created in 1928 at the old Leland Hotel. Named for the shape of the ham once used to top the open-faced sandwich, this local delicacy is basically a heart attack on a plate. But once you’ve taken your first bite, you’ll roll your eyes skyward and thank the heavens for such a creation. Wherever you try it — I recommend the Dublin Pub, 1975 Wabash Ave. — you’ll find it’s made by laying two pieces of toasted bread on a warm platter, then layering some kind of meat (your choice) over the toast. Next, the entire plate is smothered with a rich cheddar cheese sauce (using either beer, wine or a Welsh rarebit-type sauce). Finally, the whole cardiac-arrest concoction is topped with crispy french fries. If you’re feeling especially daring, add a generous heaping of salt. If you’re not feeling quite so brave, order the smaller version, the pony. It’s Springfield’s original comfort food, a sandwich that can only be eaten with a fork. Leong’s Springfield-Style Cashew Chicken has been a hit in Springfield, Mo., since 1963. Ride all the way through Fantastic Caverns, above, in Springfield, Mo., to experience the splendor of the cave while preserving its natural features. Springfield, Mo.’s unique version of comfort food? Cashew chicken. But it’s not the same dish labeled “cashew chicken” in Lawrence’s Chinese eateries. 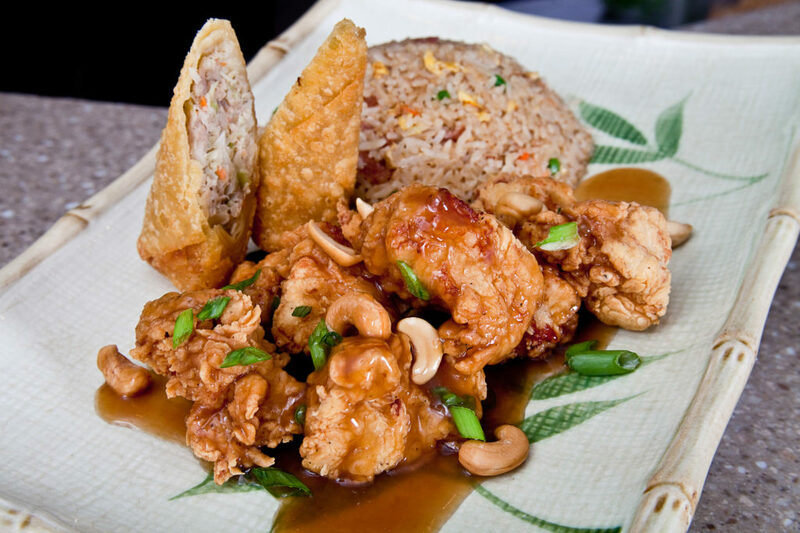 Springfield-style cashew chicken originated when David Leong opened Leong’s Tea House in 1963. Locals were reluctant to try authentic Chinese dishes, so Leong created something he thought they’d enjoy — fried chicken chunks covered with Chinese oyster sauce, halved cashews and chopped green onions. Springfield-style Cashew Chicken became an immediate hit. Try it at Leong’s Asian Diner, 1540 West Republic Road, or Asian King Buffet, 3130 S. Glenstone Ave.
Perhaps the most popular year-round attraction in Springfield, Mo., is Fantastic Caverns, America’s only Ride-Through Cave, where it’s always a cool 60 degrees Fahrenheit. 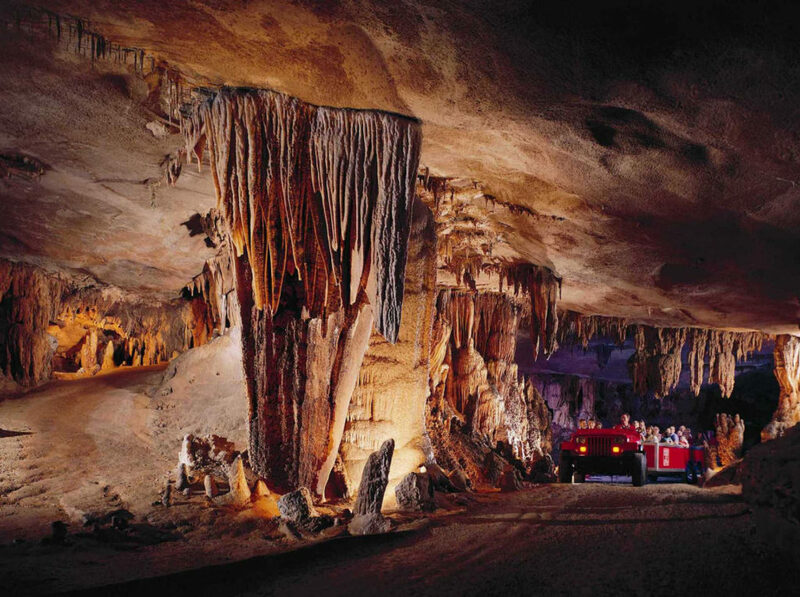 Touring Fantastic Caverns in Jeep-drawn trams helps preserve the cave’s natural beauty, while letting guests experience the splendor of the stalactites, stalagmites, flowstones and other formations that were thousands of years in the making. The mile-long, 55-minute tour is brightly lit in order to showcase the dramatic vistas. I love the Hampton Inn & Suites Southwest in Springfield, Ill., for its clean, modern rooms and suites, free WiFi, free happy hour with beer and wine, and free hot breakfast. Best of all are the amazingly friendly employees. Also recommended is the Hilton Garden Inn, with its very comfortable beds, free WiFi, microwave ovens and mini-fridges in the rooms, very attentive staff and free cookies in the lobby! In Springfield, Mo., families will enjoy the Howard Johnson Inn & Conference Center in Springfield, Mo., which offers free WiFi, as well as in-room refrigerators, a heated outdoor pool and cookies doled out by smiling front desk attendants.